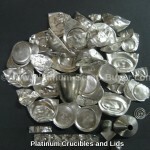 We buy all Platinum crucibles, in any condition, as well as any Platinum lids, trays, or other Platinum scrap labware. 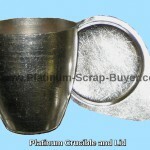 Sell Platinum Crucibles to Platinum Scrap Buyer for the highest return. Platinum Crucibles can come in a variety of alloys ranging from pure Platinum down into the 70% ranges, while most are around 85-90%. We buy every alloy even if they are soldered or have Gold contents. Platinum Crucibles are used for their high melting point so that the crucible itself will not melt when being used in high temperate reactions. Platinum Crucibles are also used because Platinum will not interfere with chemical reactions as well as being highly chemical and acid resistant. 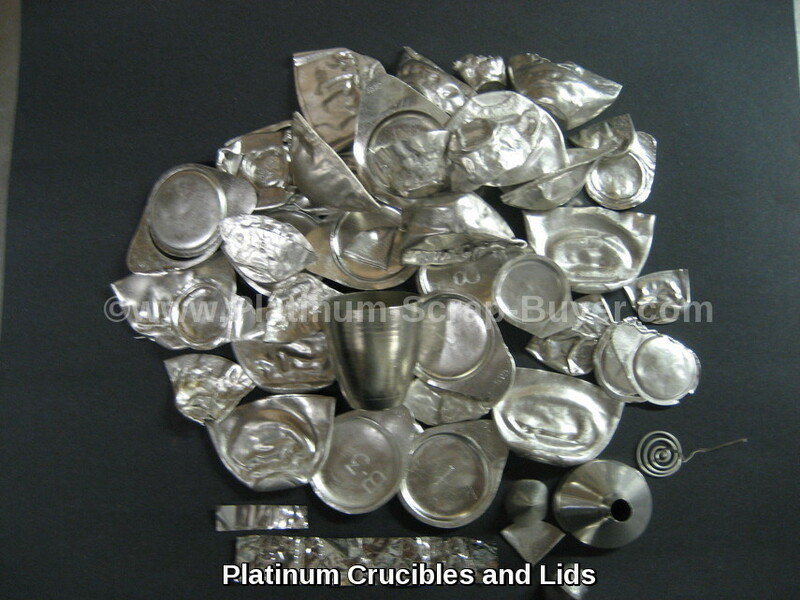 When a platinum crucible becomes cracked or misshapen and needs to be replaced, Platinum Scrap Buyer will buy them for the highest prices in any condition. 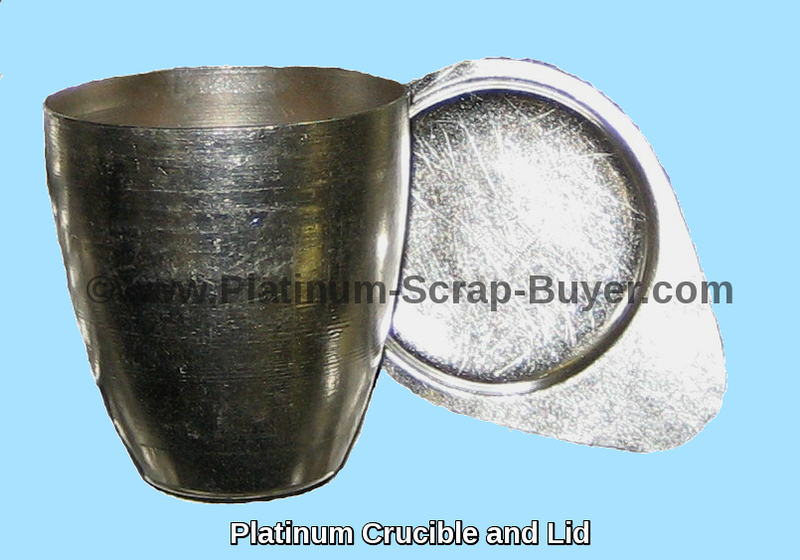 Platinum crucibles are used for their physical properties of being oxidization and corrosion resistant. Because of this they can be cleaned and reused easily. Platinum is also used because it is not brittle and can be reshaped easily so it is able to withstand multiple uses. Platinum is also a great conductor of heat as well as cooling extremely quickly. Platinum Crucibles come from a variety of applications and locations like Labs, Hospitals, and Schools. Platinum Crucibles come in a variety of shapes and sizes, and are also sometimes accompanied by lids, trays, or tongs that can also be platinum.